Provides extra strong support. Designed for standard aprons, panoramic, & vests, skirts, etc.Raised ends hold vests, kilts, & skirts securely on hanger. 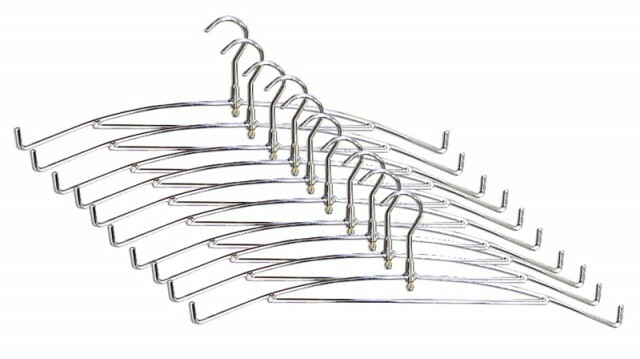 Top hook swivels for easy hanging 21" long chromed-steel with anti-slip tips. Can be used with ARM-ZNH rack or peg rack.Can be ordered as a single hangers. Click HERE to view.